Enjoy listening to these DJs describe how they approach their craft. Watching those fingers move, teak, manipulate, skratch, push, slide and reverse actions are a sight-to-behold. The counter-intelligence at play here is awe-inspiring and unique. The ability to create a sound and move hundreds sometimes thousands of people to move rhythmatically is Genius, yes Genius! Definition: A genius (plural genii or geniuses, adjective ingenious) is a person, a body of work, or a singular achievement of surpassing excellence. More than just originality, creativity, or intelligence, genius is associated with achievement of insight which has transformational power. A work of genius fundamentally alters the expectations of its audience. Genius may be generalized, or be particular to a discrete field such as sports, statesmanship, science, or art. These magicians convert raw sound or what some call noize into music. 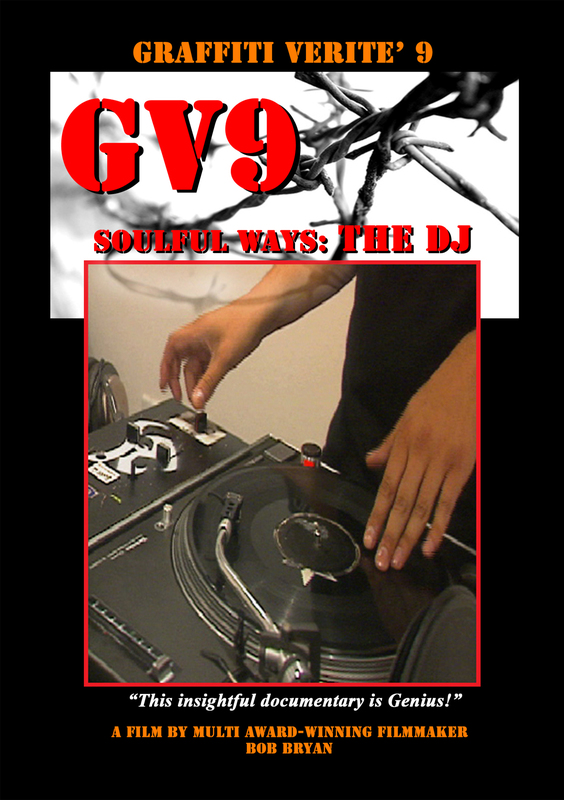 To watch a great DJ spin his magic is analogous to watching a master drummer or cellist or pianist do their thing. Only with turntablists you gotta turn up the speed dial to warp speed. How do they do that '... and how do they process information that quickly' Brain to hand, instinct to hand, hand to brain, hands to equipment and what comes together is a "new Sound" reconfigured and wrapped around the accidental sculptured nature of the moment. Irregardless of the method to their madness, look out upon the floor. The results are in the vast pool of head nods and contorted bodies that are compelled to create new dance illness because of the rhythms of the music. This is sick!! But understand not all are called to this game with dynamic innate gifts, but the ones that are talented whewww it's magic man! Like great poetry it's a gift and for those who got it and you're in the audience... be prepared to be transcended and lifted outta there. Starring: DJ Sircut, DJ Hint, DJ Handprints, DJ Ethos, A.N.T.I., Glenn Towery, Michael Deet, Da Scientist, Kahlee, VZ, Literates, Justin Bua, Kutmasta Kurt, Jroz, Mike Perry, 38 Cal DJs, Neila, Fresh Air, John O, Gecko Brothas, Priest, and Priest.